Sole/Ride/Drop: The sole is full contact except for a small hole in the midfoot. 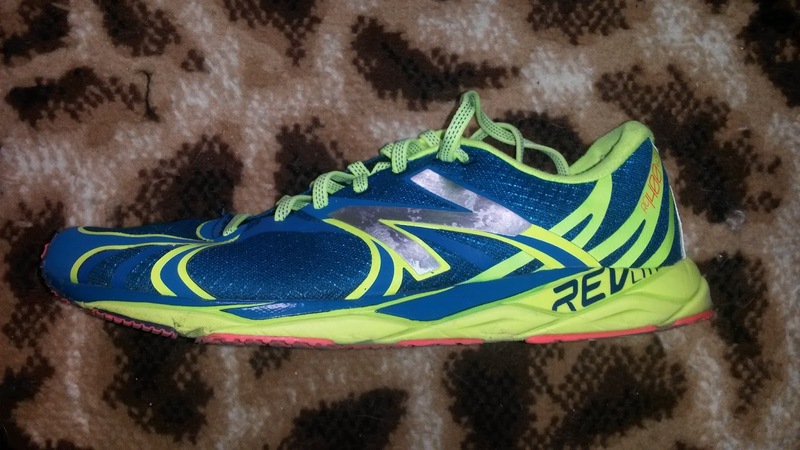 The NB 1400v3 does have a plastic plate in the midfoot that does seem to add responsiveness to the sole. I expected this shoe to feel very thin, especially in the forefoot, but over many miles have realized that despite the racing flat type sole, I can handle many miles in this shoe. The sole cushioning and comfort feels like that of a 7-8oz shoe. I have been able to do long runs in this shoe without issue, which was surprising at first. The heel is soft and protective for a racing flat while the forefoot is a bit firmer but protective enough that I have not had any soreness that I associate with overly thin and firm soles. The drop is listed at 9mm and it feels between 7-9mm with heel compression. The higher drop has not gotten in the way of the ride of this shoe, which is very smooth due to how the heel compresses and the full ground contact sole. The ride is smooth, comfortable and fast. The midfoot plate adds stability and responsiveness to the sole that feels great at all speeds. Normally I have issues with shoes that have narrow soles in the midfoot (I have had issues with New Balance in the past because of this as my foot would collapse off the medial side). 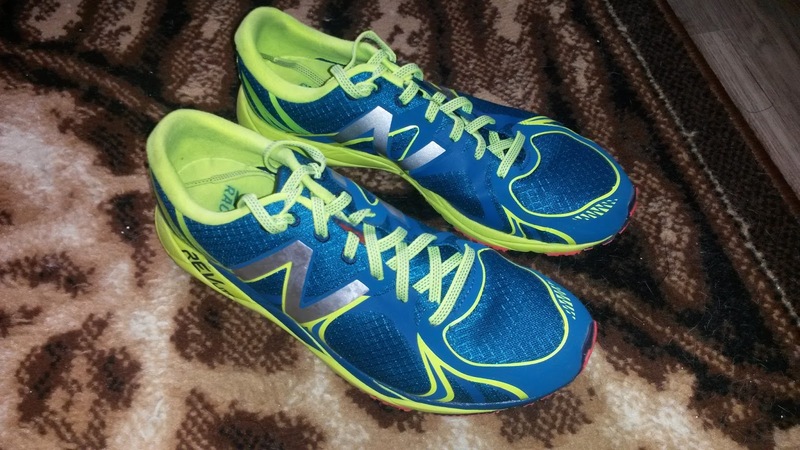 However, thanks to the plastic plate the NB 1400v3 is stable throughout the length of the sole. I have been surprised at how durable the 1400v3 has been. The outsole rubber has not shown significant signs of wear after 75 miles, which is impressive for a racing flat. I also do not feel any midsole breakdown and have not seen any issues with upper. I expect to get anywhere from 200-250 miles from this shoe, which is impressive for a racing flat. Fit/Feel/Upper: This is one of the few times I have experienced an upper that completely disappears once you start running. The fit is superb with enough room in the toebox while wearing thin or no socks. I have run plenty of sockless miles in these and while that does make the shoes stink, I have not had any blister issues. The sockliner is extremely smooth and comfortable against bare skin. I prefer to wear thin Drymax socks with these (review soon) just for a little extra protection, but know you can wear them sockless. There isn't much of a heel counter and the sockliner is very soft. So if your calcaneus (heel) bones are sensitive to hard heel counters, know that this shoe shouldn't bother you and might give you some relief. The overall fit is average to slightly narrow. The NB 1400v3 is a racing shoe, so don't expect a wide fit, but as I mentioned earlier, this shoe fits me really well. As with most New Balance racing shoes, I went down a half size to a 9.5 (normally a men's 10). That combined with wearing very thin socks seems to work for me. I have done similar things for the New Balance 1500v1, New Balance XC 900 (wore those in college briefly) and when I tried the original New Balance RC 5000 (will hopefully get my hands on a pair of RC 5000v2 soon). Weight/Responsiveness: The New Balance 1400v3 is listed at 6.1 ounces and that is how it feels. Fast and light. This is a do-it all shoe that will disappear off your foot. 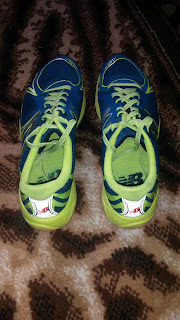 I have used this shoe for workouts (fartleks and tempos), easy runs, long runs and recovery runs. The plate I mentioned earlier in the midfoot along with a firmish but protective forefoot adds responsiveness and speed to the shoe when you push it, while the softish heel provides cushioning during recovery and long runs. Many racing flats can be on the firm side and are only comfortable at fast speeds. The NB 1400v3 manages to combine lightweight cushioning with speed. The next time I race 10k or longer, this will be my shoe of choice. Amazing a shoe this light and fast can provide enough protection that I would happily take it up to the marathon distance. I have used this shoe up to 16 miles without any discomfort or foot/leg fatigue that I normally get with heavier shoes or extremely light/firm racing flats. Thoughts as a DPT (Student): I have stated in the past that I prefer full ground contact midsoles. They create a more stable and natural ride in my opinion. 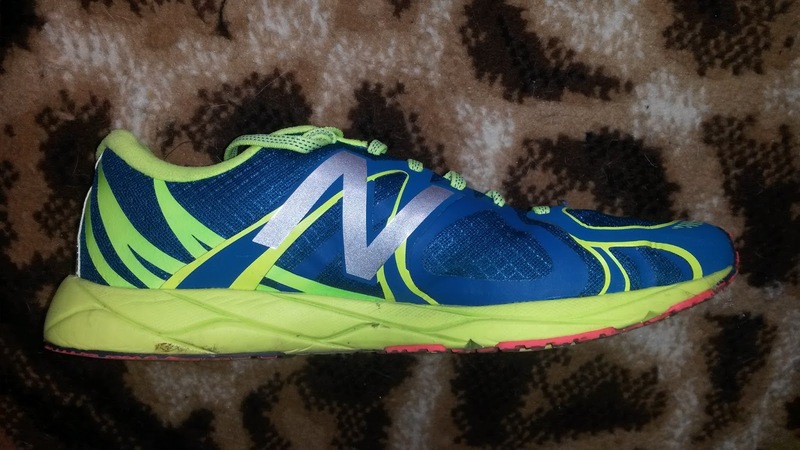 The NB 1400v3 has a hole in midfoot, which was likely placed there to save weight. The shoe is technically a full ground contact midsole due to have an outsole on the medial and lateral side of the hole, but I wish NB didn't do that. I'm not sure if they're trying to increase flexibility with the hole (there is a plastic plate visible through the hole which adds responsiveness) or save weight, but it is a point of collapse in midfoot. The midfoot is generally a place where you want to have stability (not necessarily posting). New Balance already tends to have very little sole in the medial midfoot of their racing shoes and have very curved shoe lasts (shoe shapes), so if you have excessive mobility in your foot, be careful. I have not had any issues with the NB 1400v3 despite my overly mobile feet (working on strengthening and stabilizing them) and the above issues. 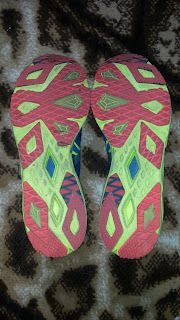 The plate in the midsole may be what gives this shoe more stability, as it does feel stable during slow and fast speeds. I do love midsole plates in racing shoes for the responsiveness and wish more had them as they make the shoes faster and more stable in my mind. Companies need to be careful with their placement though, as abnormal flex points or lack of natural flex points can cause irritations of the plantarfascia. And then there's the achilles tab. I've mentioned this before that I prefer a notch in that area so nothing pushes excessively into the achilles tendon. Luckily the upper is soft enough and the lack of a significant heel counter has not given me any issue. I have noticed more companies using a tab style rather than a split/notch in the achilles area in their racing shoes. Not sure why the shift, but luckily I haven't had any issues with recent racing shoes. One thing I love as both a runner and (student) physical therapist is the low toe spring combined with a flexible forefoot. The majority of shoe companies are moving toward increasing the amount of toe spring, or the upward curve at the forefoot/toes, to try to combat the thicker midsoled shoes being produced as well as to give the shoe the feeling of a smoother ride. To me it feels like the shoes bottom out and I can't engage my calves as well. I've also previously touched on why I hate excessive toe spring, one of the many reasons being that it attempts to force the toes into extension for long periods of time. Because the phalanges don't want to do that, the toes end up curling into flexion to shorten the foot and avoid that upward curve. Over long periods of time that results in various deformities such as hammer toes, tight plantarfascia and more fun things that no one wants. So kudos to New Balance on not doing that in this shoe and instead making the sole flexible to actually bend and work with the way the human foot naturally moves. Really wish more companies would stick with that. Conclusion: I have really enjoyed training in this shoe. It seems to be the perfect match for my body. The lightweight, well-placed plate for responsiveness, just enough cushioning, really well fitting and comfortable upper, 8-9mm drop with a softish heel and protective but poppy forefoot and decently durable outsole has made the New Balance 1400v3 one of my favorite shoes. I will admit it has even surpassed the Brooks T7 Racer (time will tell though against the new Hyperion Racer). I am very impressed that I can use this shoe for daily training and wouldn't hesitate to use it as a racing shoe anywhere from the 5k to the marathon. If you are looking for a fast, versatile, well fitting racing/lightweight shoe, take a look at the New Balance RC 1400v3. You won't be disappointed. These shoes were purchased new for $50 on Ebay. I put at least 75 miles on every pair of training shoes before I review them (except racing flats which I put on at least 25 miles). Currently I have 75 miles on my pair. These are racing flats but I enjoyed them so much I kept running in them past the 25 mile mark.